Warm days, trips to the beach, barbecues and outside living - that's what I think of when I think of summer. Because my home has large floor to ceiling cathedral windows, I can't escape the seasonal changes occurring outside. Why escape them, you say? My thoughts, exactly! I love bringing the outside in, especially when the weather warms up and the sun is shining. My goal is to recreate the exterior light and breezy atmosphere indoors, in other words, bring those summer vibes inside! 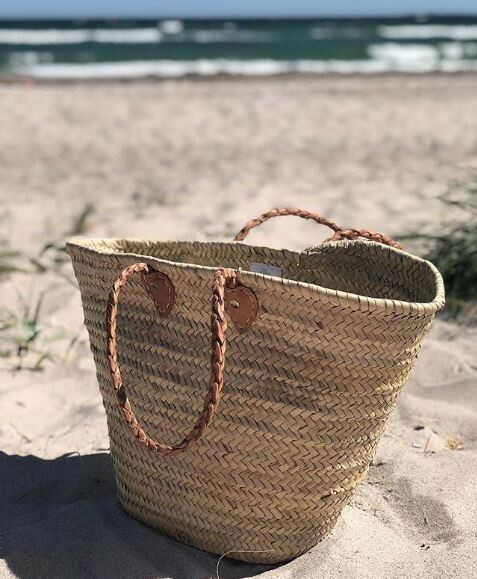 What exudes relaxation, casualness and the coolness of summer better than rattan furniture, straw baskets and tote bags and anything wicker? Here are some inspiring ideas to help motivate you to infuse those summer vibes into your home.